Brian Angelichio replaces the recently fired Jerry Fontenot. Less than a week after firing multiple assistant coaches, the Green Bay Packers have begun the process of repopulating the staff. According to Fox Sports' Alex Marvez, the team has hired Brian Angelichio as its new tight ends coach. 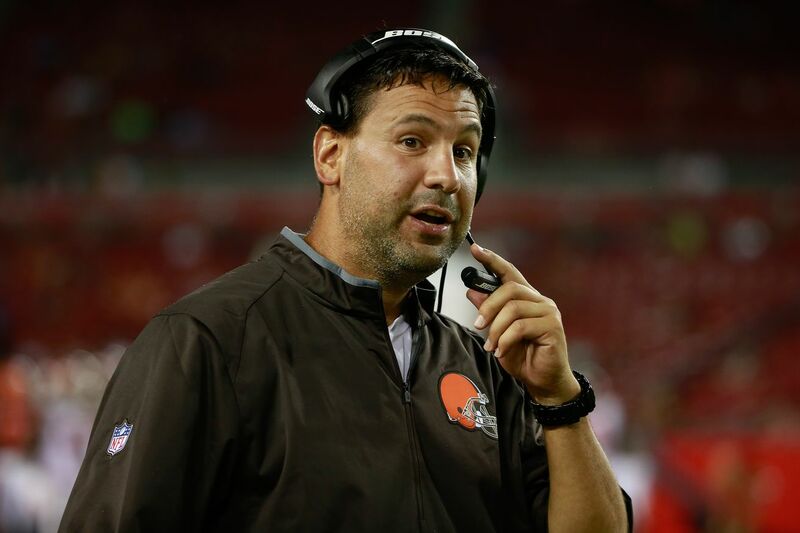 Angelichio most recently worked with the Cleveland Browns as part of Mike Pettine's staff. Under his direction, Jordan Cameron led all tight ends in yards per reception (17.7) in 2014. He also spent time on the Tampa Bay Buccaneers staff as well as the University of Pittsburgh. The Packers hired Angelichio to replace the recently fired Jerry Fontenot. Fontenot worked on Mike McCarthy's since 2006, but Green Bay's struggles at the tight end position in 2015 likely led to his termination. Last season, Richard Rodgers led the group with 58 receptions for 510 yards and eight touchdowns. Once the team makes Angelichio's hiring official, McCarthy can turn his attention to the vacancy at running backs coach, the position previously held by Sam Gash. [BCOLOR=#FFC20E]Jason B. Hirschhorn covers the Green Bay Packers for Acme Packing Company. He also serves as an NFL writer for SB Nation and Sports on Earth and is a member of the Pro Football Writers of America. Ok hiring someone from one of the worst teams in the NFL that got the entire staff fired? Pardon me if I am not do cart wheels over this hire. IMO Fontenot was better then this guy. Fontenot just got raw deal with having nothing to work with at TE. still no indication whatsoever that mccarthy realizes his error in not having a wide receivers coach this season. we need someone to coach up these young receivers. someone that isn't also focused on coaching up a backup qb that needs a lot of coaching up. Nothing yet because he's not firing AVP. I have a lot of confidence that he will restructure with a dedicated WR coach. As for this guy, I dont know. He's had successful TEs before and maybe he can teach Richard Rodgers some proper fundamentals. But let's be clear - this group needs talent. This is only step 1 of 2. Let's see if TT completes step 2 of 2.
p.s. on the plus side, there is finally a serious challenger to MM for the "scruffiest, most slovenly coach" award. I questioned the wisdom of hiring a coach from the Browns but the article did say that he 'appears' to have had some success as a TE coach. I'm also wondering why MM hasn't realized that the WR's need their own coach. Hopefully the changes will still be coming. I am also a little surprised that Clements seems to be ok with the demotion....I haven't heard anything to the contrary. IMO you could hire the best coach in the world when you lack talent at the postion your not going to get much out of them. Relativity. You would probably get MORE out them, maybe not MUCH. I think that's the point in evaluating coaches - did they do the job at getting the best out of what they have to work with - training, schemes, assignments, motivations, whatever. Just a side note: Bill Belicheat failed as head coach of the Browns also. That seemed to turnout ok for the Pats. Could be that this guy knows what he's doing just had to do it on a team that didn't succeed.